We have the best network out there, member-to-member and also via a quick call to our National Office. With over 50 chapters nationwide you can get "connected" to another member in any region who can help you or find a variety of resources by calling our headquarters. We thank you for visiting the Health Care Recruiters Association of Metro Detroit. 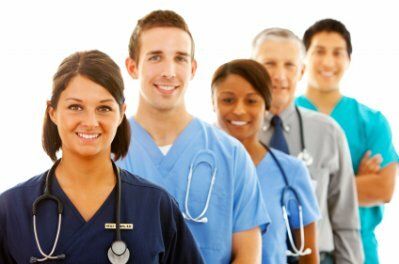 For over twenty years, we have been serving the community by organizing and promoting educational development opportunities for Health Care Recruiters. We invite you to learn more about our organization. In the early 80's, several metro Detroit nurse recruiters joined together to form a professional networking group. In 1990, the group formalized and became the Nurse Recruiters Association of Metro Detroit (NRAMD). The group added members, developed bylaws, standing committees, set annual goals and objectives, achieved non-profit status and became a chapter member of the National Association of Health Care Recruiters (NAHCR). In the late 90's in the midst of health care system mergers and acquisitions the role of the nurse recruiter began to change. Positions were eliminated, duties combined and the "nurse recruiter" became the "health care recruiter". In this ever changing environment, the NRAMD Bylaws committee met and proposed to change the name of the group from the Nurse Recruiters Association of Metro Detroit to the Health Care Recruiters Association of Metro Detroit to reflect the essential function of the majority of its members. This change was adopted in 1998. Meetings are held monthly to allow networking, provide educational offerings and utilize member expertise for ongoing projects. The group has made many inroads to enhance recruitment and retention efforts and has proven to be a source of inspiration to the new recruiter.